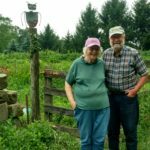 Lemoine “Lee” Peart said when she and her family began looking to buy a farm the 1980s, they identified 10 qualities that would constitute the ideal property. Most of the farms fell short in several areas. 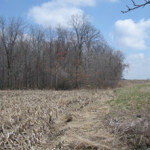 Then Peart visited a former sheep farm in Wayne County, about two miles south of Burbank. 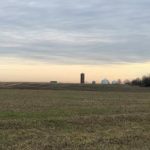 The family purchased the property in 1989 and founded Canaan Creek Organic Farm, a 98-acre tract that produces organic hay, organic barley seed and organic spelt and has pastures for grass-fed beef cattle. The property, at the corner of Sterling and Parmenter roads, includes an 1890-built farmhouse that sits a quarter-mile from the road as well as three barns, two silos and two grain bins. 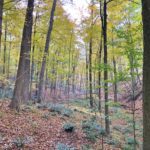 Canaan Creek Organic Farm has now been permanently protected by a conservation easement donated by Peart to Western Reserve Land Conservancy, the state’s largest land trust. It is the first farm in Wayne County to be preserved by the Land Conservancy; the voluntary, donated conservation easement essentially means the farm will never be developed. Peart, a college biology major and former science teacher in the Brooklyn City School District, has had a lifelong passion for nature. After leaving teaching to raise her family, she returned to work for the Ohio State University’s Agricultural Technical Institute in Wooster and then at the Wayne County Schools Career Center. Peart said “development pressure” nearby prompted her to consider placing a conservation easement on the property. 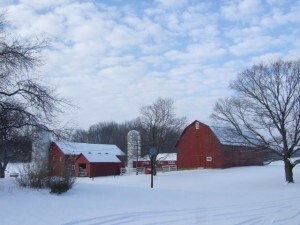 But she said the decision to permanently preserve the farm was made with full support from her sons, Luke Peart of Quebec and Nathan Wright of Chicago, who will eventually take over the farm.